Coming straight out of high school and being picked first in the 2004 draft, Dwight Howard has achieved many awards and honors at such a young age. Howard is the youngest player in the NBA to reach 9,000 career rebounds, and to lead the league in rebounds and blocks. He has led the league five times in rebounds. Howard is the first player to be named the NBA Defensive Player of the Year in three consecutive seasons. 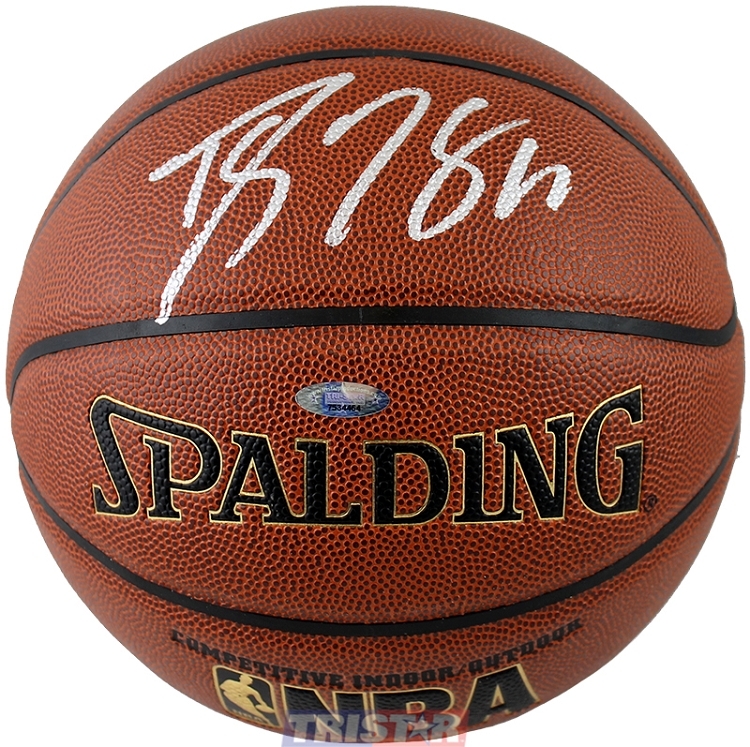 Dwight Howard has personally hand signed these Spalding Indoor/Outdoor NBA Full Size basketballs. Each Dwight Howard autographed basketball is guaranteed authentic, and includes an individually numbered TRISTAR Authentic hologram. You can verify the authenticity of your autograph by entering your hologram number online at www.tristarauthentic.com.